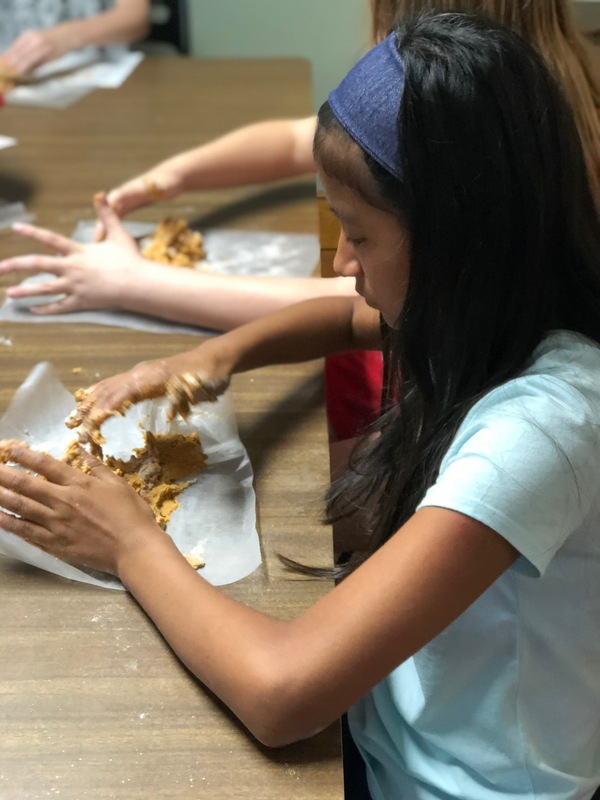 Vets in Training is a multi-faceted STEAM program, offering a variety of after-school programs, full day camps, assemblies, special needs classes, and custom programs. Our expertise is in creating individualized programs that will fit the unique needs of your curriculum and students. 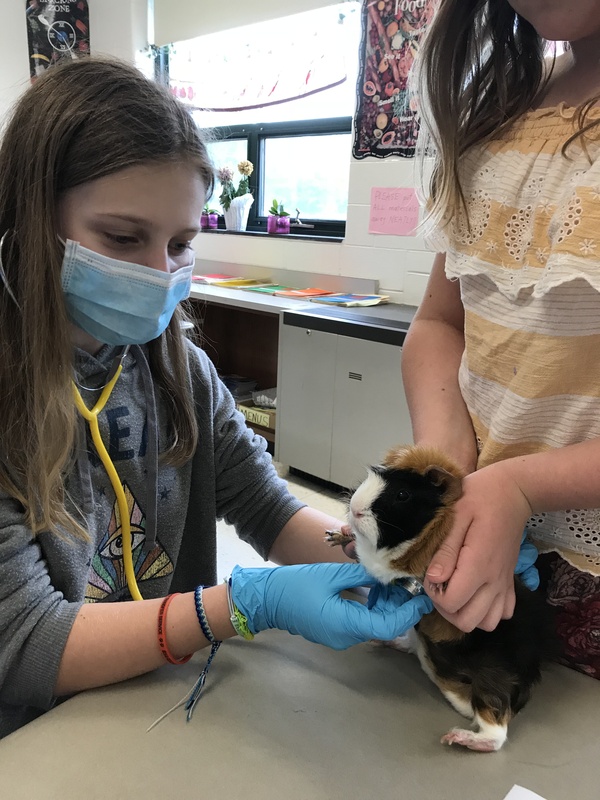 Our certified teachers and veterinary technicians (who have experience teaching) do this through group work, active and experiential learning sessions, and with tools and our traveling animals that engage the intellect and senses of our students. The work we do in our classes often feels like play, but students gain real-world knowledge in many fields of study, reinforced by active learning and the direct interaction with our animals. The animals who are part of our program are fully vaccinated, are comfortable in the classroom and enjoy the interaction with children. All materials used in our programs are provided by us, and we’re happy to add insurance waiver coverage to schools who need it. Children are fascinated by animals and display a deep passion for animal welfare and well-being at an early age. The HousePaws Vets in Training Program embraces the human animal bond through interaction and education. 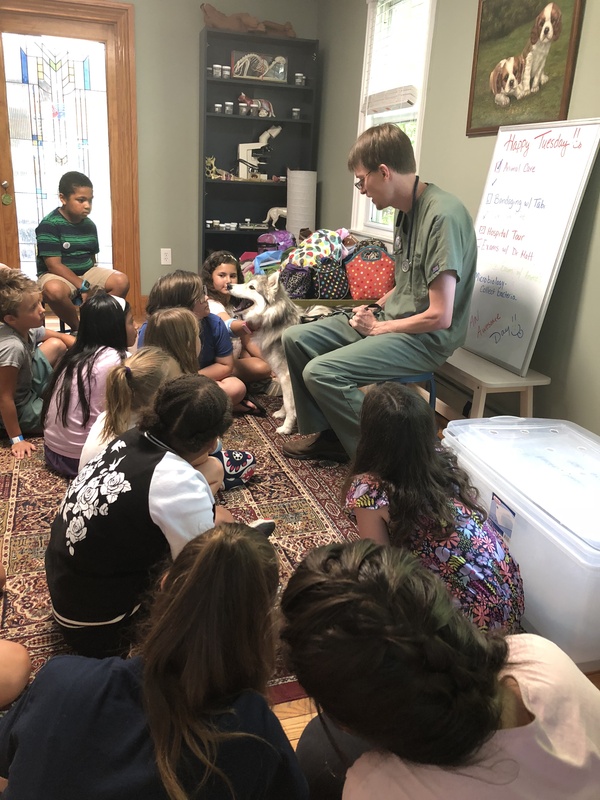 By providing hands-on experienced based education to each student in the program the children are empowered to explore the human animal bond and the many facets of veterinary medicine. Have a question about VIT? or by phone at (856) 677-8134. For your convenience, we offer a payment option through the Paypal link below if you are interested. Pay through Paypal and you are set for registration. Prefer to pay by check or over the phone? No problem! Contact the VIT program facilitator at VIT@HousePawsMobileVet.com . 2019 Spring Break Camp Registration is now open! Join us for our Spring Break Camp! More information and registration form below. 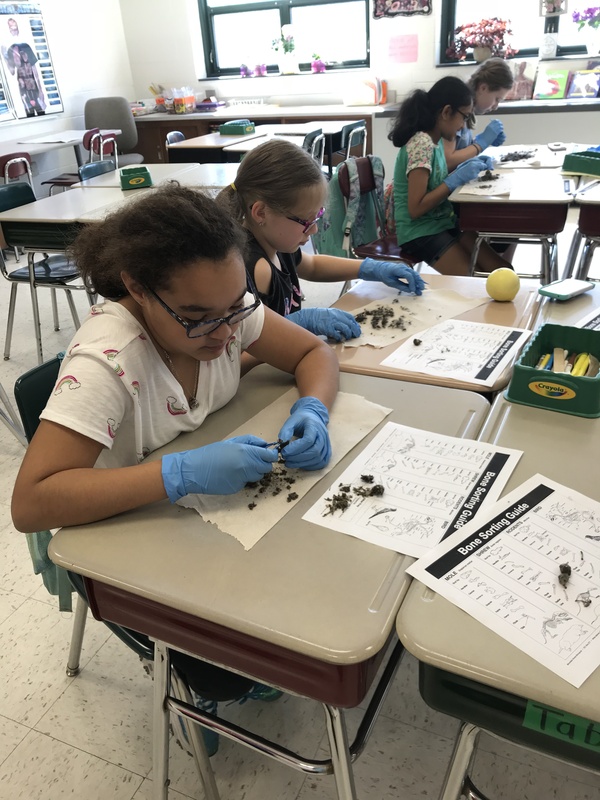 Vets in Training is excited to offer Evesham Township classes at Demasi Elementary School, Demasi Middle School and Marlton Middle School–now open for enrollment! Please click the button for registration information for each of these classes below. Register first through the form below. You will recieve confirmation from the VIT Program that registration has been recieved. You will then be instructed to pay for the course. Please do not pay before you hear from the VIT program administrator that your form has been recieved and there is space for your student. 20 students will be enrolled in each course. Vets in Training is excited to offer Spring Session 1 sessions–now open for enrollment! If you have Adobe Reader (free download here), you can download the form via the button below, fill it out, save it and email it to us at VITregistrations@HousePawsMobileVet.com. Registration for Vets In Training 2019 Summer Camp is now open for enrollment! Vets in Training is excited to offer Saturday classes in the Spring of 2019 at the HousePaws Morrisville, PA hospital. Click the button below for more information on course content and registration. Registration for the Haddonfield Elementary Schools Enrichment Program is now open. Click the links below to access pdf registration forms. Fill out the form, save and email to the Vets In Training program facilitator at VIT@HousePawsMobileVet.com. Pay for your programs via the Paypal link above and you are set for registration. Prefer to pay by check or over the phone? Contact the VIT program facilitator at VIT@HousePawsMobileVet.com . Registration for the JBMDL Schools Enrichment Program is now open. Click the links below to access pdf registration forms. Fill out the form, save and email to the Vets In Training program facilitator at VIT@HousePawsMobileVet.com. Registration for the Saint Mary of the Lakes Schools Enrichment Program is now open. Click the links below to access pdf registration forms. Fill out the form, save and email to the Vets In Training program facilitator at VIT@HousePawsMobileVet.com.